Shiny tires and dull rims just won&apos;t do. Complete the look with Wipe New Wheels! Shiny tires and dull rims just won&apos;t do. 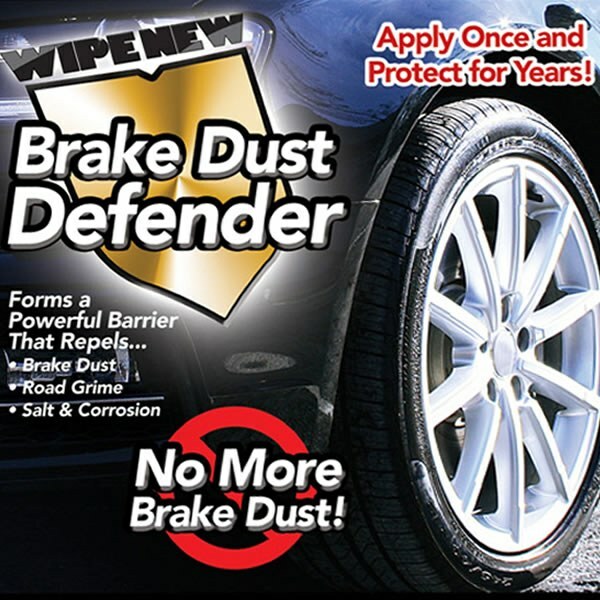 Complete the look with Wipe New Wheels! This product restores your wheels to a showroom-new shine. You&apos;ve taken care of your tires, but what about your wheels. Wipe New Wheels is the perfect complement to Wipe New Tires. Conveniently packaged in an easy-to-use Wipe-It a perfectly pre-saturated cloth infused with Wipe New. just one application will restore luster and protect your wheels for years of easy cleaning! Guaranteed to last hundreds of car washes, saving you time and money.